About Us | Cummings Funeral Service, Inc.
Cummings Funeral Service, Inc. is operated by his son Walter P. Cummings. He is assisted by Jean B. Davis in all facets of the operation of the funeral homes. Mrs. Davis., formerly of Western New York, has been associated with the funeral service since August 29, 1990. 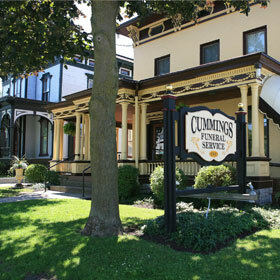 Cummings Funeral Service Inc. of Watertown and Clayton is 90 years old and operated by the grandson of the founder. The business was started in 1919 as a combination funeral home/furniture store in Clayton, NY, which was not unusual in that time. The business has been passed down from the grandfather and father of Mr. Cummings. Mr. Cummings's grandfather, also named Walter P., opened the business on Riverside Drive in Clayton. By 1929 the funeral home had dropped its furniture business. That same year Cummings Funeral Home moved to 320 John Street, Clayton, its present location. 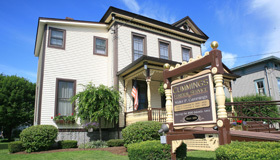 Mr. Cummings', Sr. bought 212/214 Sterling Street in 1933 and started the Watetown Funeral Home called The Cummings Place. Cummings Place was operated by the grandfather and his wife, Nellie Fitzgerald Cummings, both of whom were licensed undertakers. The business was incorporated in 1949. Upon Mr. Cummings, Sr.'s death in 1952, his sons Walter P. Cummings, Jr., and Charles M. Cummings, continued the business. Walter P. Cummings, Jr. bought his brother's share of the business in 1953 and continued to operate it until his death in 1979.